Paul said to the Corinthian Church in 1 Corinthians 12:1, that he did not want them to be ignorant; that is unknowing and uninformed, about spiritual gifts. However, thousands of years later, it seems that there still remains a pervasive ignorance among the Body of Christ concerning the spiritual gifts. 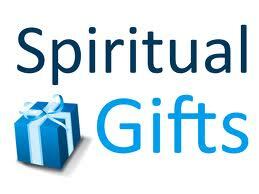 What is a spiritual gift? Simply put, a spiritual gift is ability or disposition given to the believer by the Holy Spirit when the believer is born of the Spirit. In other words, just as a person is born with certain abilities, gifts, and talents, when a person is “born again,” that person is given spiritual gifts and abilities by the Holy Spirit. Now, I’ve often heard church people say of people gifted with the ability to sing and do other things in worship and ministry, that the person is anointed or gifted by the Holy Spirit to do what they do. But according to the Bible, singing is not a spiritual gift; it is a natural gift and ability! (Of course when one is saved, God does enhance natural gifts and abilities as they are yielded to His control) A spiritual gift is that which is only given by the Holy Spirit to those who have been born again! There is a non-exhaustive list of the spiritual gifts given in Romans 12:6-8; 1 Corinthians 12:4-11 and 1 Corinthian 12:28-31. We might take note that the gifts listed in the last reference (1 Cor. 12:28-31) are actually people! God gives us gifts and we are gifts ourselves! Now, I used the term “non-exhausted” to denote the fact that there are spiritual gifts given by God that are not on these lists. There is so much more to be said about the subject of the spiritual gifts, but this was just a short introduction to shed a little light on the subject and to provide direction for more intensive study.